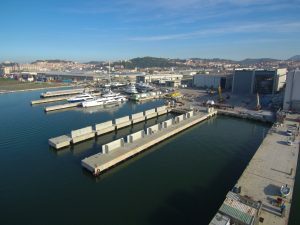 After so many radical investments on all infrastructure of the shipyard acquired in 2016, Palumbo Superyachts Ancona is now focusing on the realisation of new structures and works that give the possibility to create a new lifting system and welcome mega yachts with weights up to a limit of 3,300t. Generally, this new system is called Syncro Lift, in particular Ship Lift Platform 3300. Technically, the entire structure consists of a steel platform of 81m and a width of more than 19m, supported by fourteen large winches that allow the lifting or launching of mega yachts, with a draft up to 6m from sea level. The completion of the works and the full operation of the Syncro Lift will be scheduled for the end of January 2019. With its potential, this infrastructure becomes essential for yachts now under construction and in advanced construction. 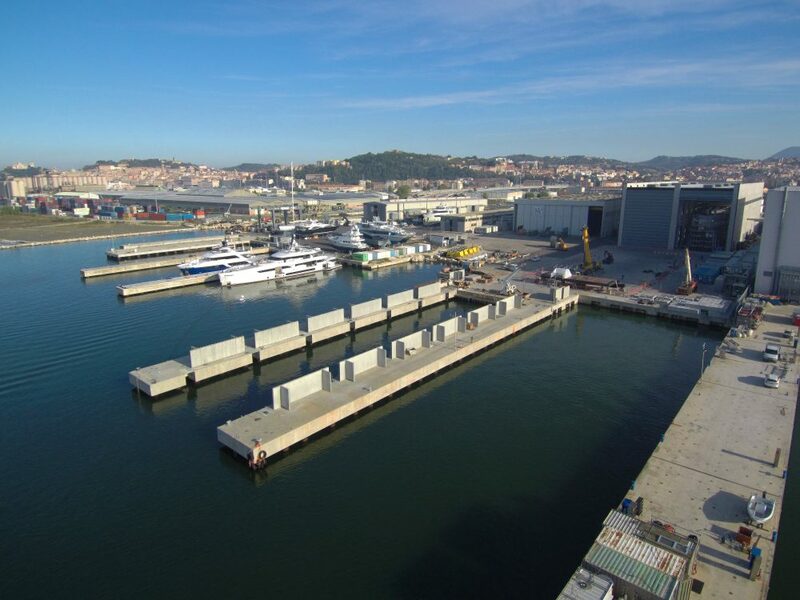 The new Syncro Lift will be in addition to the continuous major refitting works required by large tonnage yachts that currently do not have a yard reference able to offer such operations throughout the Adriatic coast and beyond. The new structure will be used to expand refit works and to perform launching of new yachts up to 110m.